Conception II: Children of the Seven Stars is a game that typifies one of the two types of games being released in the current stage of the Vita’s life (the other type being indie games). A mix between a dungeon crawling RPG, dating sim and visual novel, it sits comfortably among the range of niche interest games from Japan currently populating the Vita’s catalogue. It is also a game that no one would have expected to have been localised and released in the West, the original Conception having not managed such a feat. 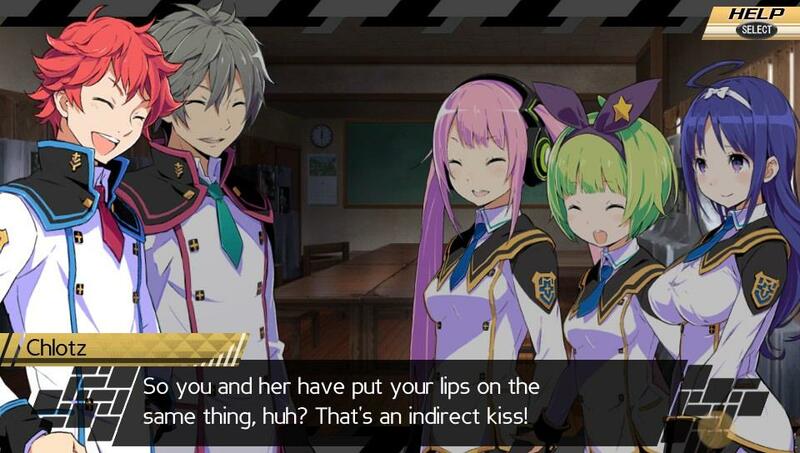 Conception II sees the player take on the role of “God’s gift”, a name that should give you all the indication you need of the type of story told in this game. You join an elite academy tasked with protecting the world from monsters that emanate from Dusk Circles which have opened up across the land. You also happen to be something of a chosen one. While there is some humour and occasional character in the game, much of the story – told in the form of a visual novel – verges towards the verbose. While the story is therefore not overly inspiring, there is much to enjoy in Conception II if you are able to look beyond this point. Many of the more recent JRPG success stories have used relationship management systems which have ended up being almost as large a part of the game as the dungeon battles (see for instance the Vita’s own Persona 4 the Golden). Conception II is no exception in these regards. Its unique ‘classmating’ system, which forms the basis of the game’s title, is one of the more interesting aspects of the game. The system will see the player go on what are essentially dates with various women at the academy. This section of the game is presented as a visual novel, which offers the player various scenarios with the women and presents them with choices which will impact on how well the player bonds with the women (this provides the amusing potential for the player to be unsuccessful at fictional dates). While falling short of the emotional resonance achieved in games such as Persona 4 The Golden, this is still one of the more entertaining aspects of the game. This is largely as a result of the individual personalities of the women, which provide welcome distraction from the dungeon crawling aspects of Conception. The aim of this social sim element of the game is to forge relationships with the various female characters so that you will be able to get better results out of the ‘classmating’ system. The game goes to lengths to spell out that this ‘classmating’ is in no way a sexual ritual, but is instead a religious ritual which creates ‘star-children’. This is somewhat undermined by the occasionally suggestive dialogue and the dating sim that accompanies it. These star-children are grouped in to teams of three and act as your foot-soldiers in battle (the player is allowed three teams of three ‘star-children’, as well as one of the females to accompany him). There is enjoyment to be had in using the system (by increasing your bond with the female characters) to create different types of, and more powerful, ‘star-children’. This is one of the more successful elements of the game and provides a welcome break from the labyrinths. 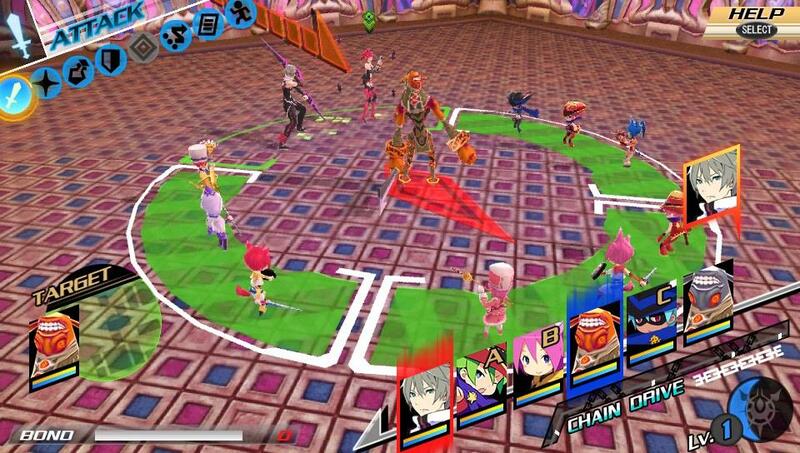 The ‘star-children’ element is only the beginning of a deeply complex and entertaining battle system. 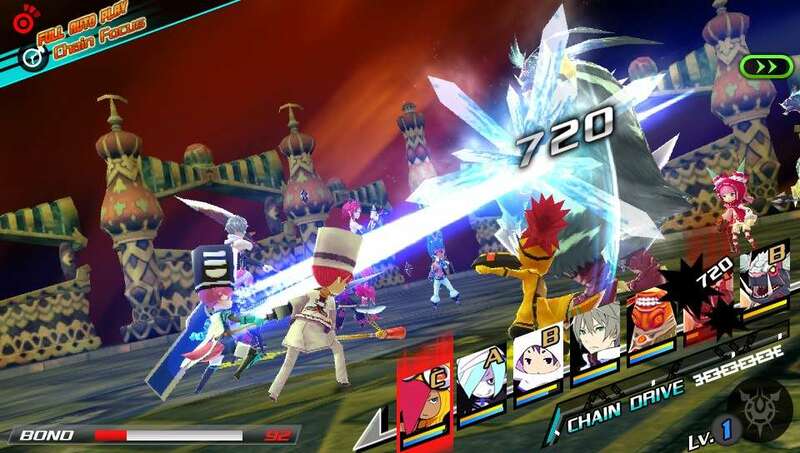 Players will find themselves bombarded with instructions at the beginning of the game, but will be relieved to find that much of the battle system can be picked up while playing. Particularly interesting is the locational aspects of the battles, with each team being able to attack from different sides of an enemy. Attacking from the weak spot does considerably more damage, but attacking from more risky positions gives you the ability to power up different strategies. This detailed battle system/classmating system will seem like overkill in the early stages of the game, but later will prove itself invaluable as a continuously necessary and entertaining part of Conception II. Presentation wise, Conception II: Children of the Seven Stars is the slick, colourful sort of game which really pops on the Vita’s screen. The individual labyrinths (i.e. dungeons) contain some interesting designs, and the battles are well animated. Outside of the battles, many of the scenes feature pretty and detail rich 2D art, with the ‘dating’ sequences by contrast being fully 3D. There is a slight question mark over the amount of breast jiggling present in these animations, which can have the effect of taking away from what is an overall attractive game. You will have to come to your own personal conclusion as to what extent this detracts from your experience of the game as a whole, but suffice to say it is a shame they did not allow the game in these regards to stand up on its own merits. The voice work shoots straight down the middle, and as such provides little thrills. The main character in particular has a dull voice, and this is only slightly tempered by a few of the female classmate voices demonstrating something more of a personality (for those who find such things important, there also appears to be no option to switch to the original Japanese voice work). In contrast to the voice work, the soundtrack matches the visual presentation of the game, being a colourful and upbeat selection of instrumental j-pop. Conception II is unlikely to be anyone’s genre or platform defining RPG, but it is likely to be worth any serious JRPG fan’s time. Conception offers a seriously deep JRPG experience, with an in-depth battle system which bears more fruit the deeper you get into the game as well as an impressive ‘starchildren’ creation and management system. While the story may seem somewhat bland, this is counter-acted by a well realized ‘dating sim’ aspect. In short, this is a JRPG players can really get sunk into it, but one which may not stay with them for long afterwards.